Do you wonder how to eliminate the smell of tobacco when your partner, your friends or some of your relatives smoke during an evening at your home? Despite the fact that eliminating the unpleasant smell of cigarettes seems complicated, there are natural and very economical products that allow you to get rid of this annoying fragrance in a practical and simple way. We find an example of this is the vinegar, an ingredient widely used in the world of cooking that also has a major role in the universe of home remedies due to its antiseptic and antibacterial properties and its power to neutralize odors. Use it if you want to know how to eliminate the smell of tobacco without complications! A few small or medium bowls. 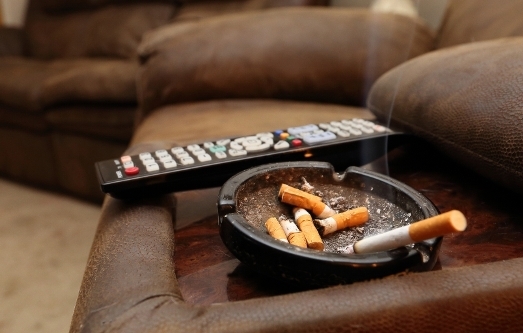 When the smell of cigarettes permeating into the various rooms of your home the first thing you need to do is to ventilate the rooms of the house for 10 or 15 minutes. Once this is done, pour half a glass of the vinegar that you have chosen in several bowls and distribute them through the corners of the spaces where the aroma of cigarettes has been installed. Let the vinegar act for a whole night. The next morning remove the bowls in which you introduced the vinegar last night and ventilate your home for another 15 minutes. The vinegar will absorb the unpleasant aroma of tobacco due to its power to neutralize the bad smell and will allow you to forget the annoying aroma of the cigars in a practical, economic and natural way. Its elaboration is very practical and simple.